On a recent December evening, in a cozy corner of Ayutthaya Thai in Capitol Hill, Gail Pettis and I discussed her ascent from swing dancing orthodontist to one of the most sought-after jazz vocalists in the Pacific Northwest. As we snacked on crispy calamari, Pettis shared her approach to jazz and practice routine, recalled her two recent tours in Russia and her workshops with Vijay Iyer and Ledisi, and talked about her plans for early 2016. 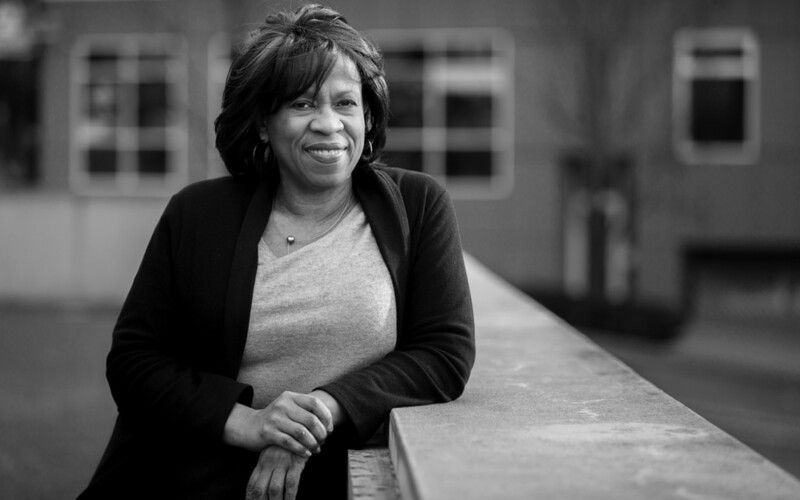 Growing up in Gary, Indiana, Pettis never considered herself “the singer” of the family. Instead, she took an academic road trip of sorts, studying Orthodontics first in Ohio, then Nashville, then Harvard, before finally arriving in Memphis to teach and practice for 10 years. It was during this time that she attended a dental conference in Seattle and fell in love with the city. When she finally picked up and moved to Seattle, she started dancing West Coast Swing, and dedicated much of her post-work hours improvising steps at the Seattle Swing Club, Elks Club, and various national conventions and workshops. It was only after an injury took her away from dance that Pettis rekindled her musical flame. In addition to taking private lessons and classes from Seattle luminaries and visiting artists such as Darren Motamedy, Greta Matassa, Kelley Johnson, Rebecca Parris, and Mark Sherman, she has attended workshops, including one memorable trip to San Francisco where she met jazz/R&B singer Ledisi. “She taught an improvisation workshop at the Jazzschool [now the California Jazz Conservatory],” Pettis recalled. Since the last time Earshot caught up with Pettis, she’s gone on multiple tours to Russia, traveling to six cities in April and returning for the “White Night Swing” Jazz Festival in St. Petersburg in June. She admired the tremendous support for the arts in many of the cities, and the warm reception she received as a jazz singer. This past August, she attended the Banff International Workshop for Jazz & Creative Music, under the direction of Vijay Iyer, that focused on creativity through free expression. There, she completed her first original song and had her first experience performing free jazz. Another collaboration Pettis is looking forward to is with Northwest gypsy jazz favorites Pearl Django. With a two-night run at Dimitriou’s Jazz Alley early in January, the vocalist is selecting and learning new material, a process that she says she’s really enjoying. This collaboration emphasizes exactly what drew Pettis to jazz in the first place. That spirit of experimentation can be found in her live performances. Several orders of sticky rice later, I inquired about how she chooses her repertoire. Pettis, in turn, knows how to draw in her audiences with honest interpretations that reveal her attention to lyricism and masterful phrasing, making her a captivating storyteller. She opens the New Year at Jazz Alley and has already booked multiple performances across the West Coast, after which she plans to return to Russia. Visit gailpettis.com to stay up-to-date on Gail’s performances.